Comfortable driving cabin, Easy for operation .Easy for maintain. 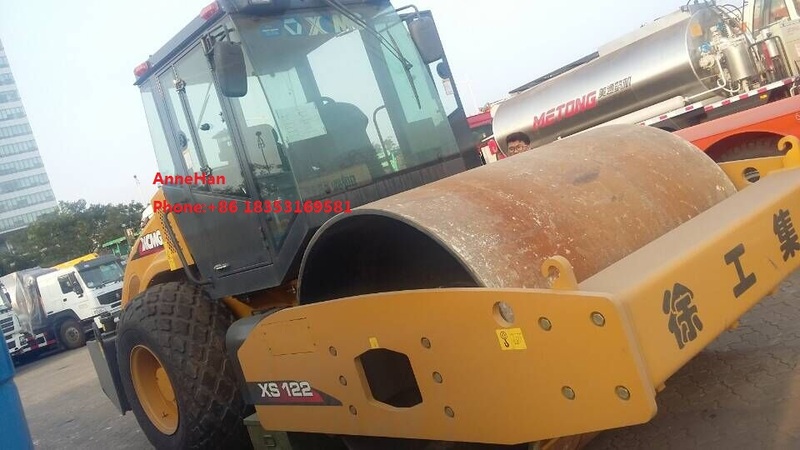 XD122/XD132/XD142 is the second generation of XCMG tandem double-drum high frequency vibratory compactor, and the fashionable appearance and advanced design concept show the high quality image of XCMG product. 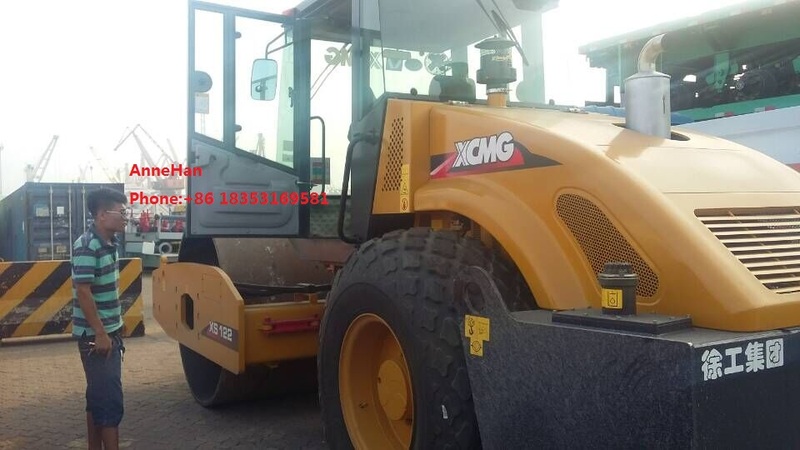 The machine features excellent compaction performance in terms of the reasonable compaction width, crab form design and drum of large diameter, the international leading high-frequency vibration and average compaction technology. It makes use of the speed frequency management system in the compaction to get the best operation easily. The scientific design and advanced production equipment ensure the machine distributes reasonably in the weight and drum barycenter. Thus the customer could get the satisfying compaction uniformity. 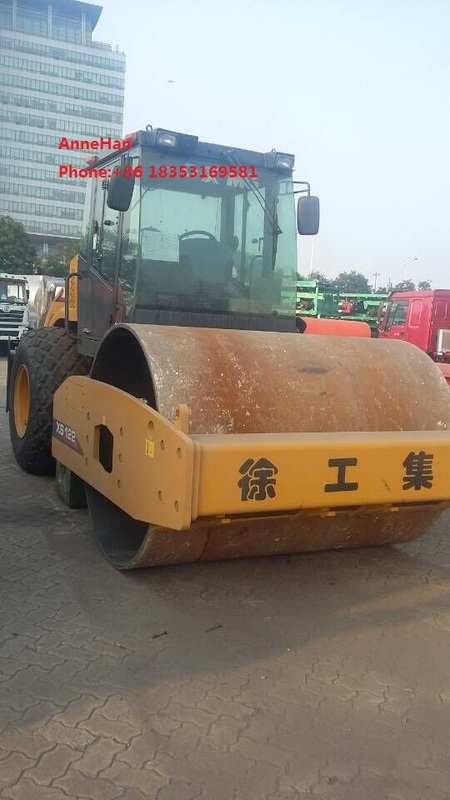 67HZ high frequency vibration, form the smooth road surface due to the nearer impact distance, and improve the operation efficiency. It is the best choice for thin paving compaction and high-level road compaction. The application of uniform compaction greatly improves the compaction quality and compaction uniformity. The reasonably matched engine system features fuel saving, endurance and high reliability in tough condition. The design of the spring seat cushion greatly improves the vibration and noise level. The independent cooling system could ensure the cooling requirement even in tough working condition. The closed hydraulic drive system of imported heavy load variable pump and variable motor ensures the excellent drive performance and gradeability of the compactor. Dual-gear stepless speed change meets the requirement of the different conditions. Dual-pump dual-motor vibratory system could realize the separate vibration of front or rear drum. The reasonably match of system damping coefficient ensures the stability of machine in vibration, improving the compaction quality and the service life of the component. The machine features intelligent control due to the advanced PLC and CAN mastering control technology. The control system could display the parameter in real time, and warn automatically for the fault and indicate the output status and the fault record and search function. Speed frequency management function. The user could get the best compaction according to the three-color stripe of red, yellow and blue. The automatic vibration and watering function could reduce the operation times of the user and the labor intensity. When the machine speed reaches the set speed, it will be vibrating and watering automatically. The large screen colorful LCD shows multiple parameters and warning information clearly. 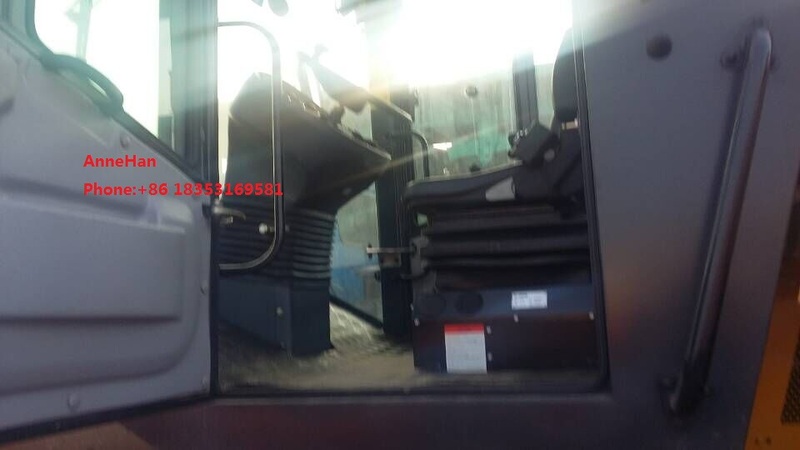 The ergonomic cab provides comfortable environment for the operator. The rotating and adjustable control panel ensures the excellent visibility for the operator in all kinds of compaction condition. The glued glass window avoids the metal frame which could influence the visibility, and ensure the safe view. The operator could see the object 1x1m from the front and rear frames from the cab. The efficient air conditioning features reasonably wind output distribution, and the operator could operator comfortably in any condition. The engine hood consists of left, middle and right parts. Two side doors could be opened in large angle, which is convenient for the user to repair and maintain the engine and hydraulic system. The air channel on two side doors could meet the cooling requirement of the whole system. The side hydraulic hose configuration of the frame adopts the hidden design to ensure the safety of the hose. Watering sprayer is at the front end of the cab, and it is easy to watch the condition. The sprayer is on the low position which could avoid the damage of the natural wind towards the spraying sector. The mud-scraper is tensioned by the spring to ensure the full contact of the polyurethane board and drum, and clear the sticky object on the drum. When moving to other sites, the mud-scraper and drum are separated by the bolt mechanically to ensure the service life of the mud-scrapper and reduce the consumption of the engine power. Air filter, diesel filter and hydraulic oil filter are exposed fully, which is easy and convenient to check and access each filter core. The water filter of the watering system is maintained easily, and the drain pipe is in the small gate, which is convenient to drain the water in winter. The diesel filler and watering tank filler of the engine are on the top of the machine. When filling the diesel and water, the folded zinc plating ladder could provide safety and convenience for you.